Crystallography plays an important role in many of the products that we use in our daily basis; from the fertilizers used to produce our food and the building materials for our homes and roads to the semiconductors in our communications and the medicines for our health. 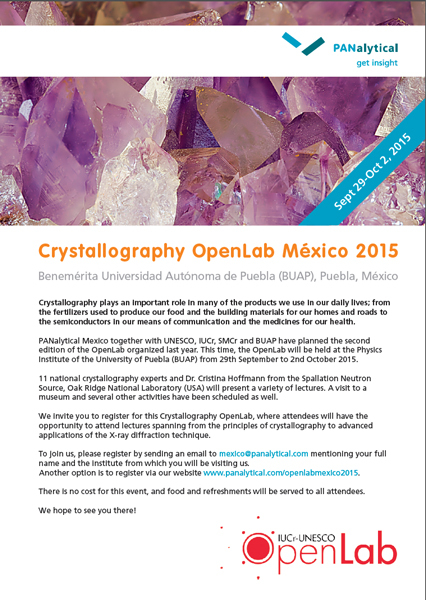 Under the framework of the IUCr-UNESCO OpenLab initiative, PANalytical Mexico, UNESCO, IUCr, the Sociedad Mexicana de Cristalografía (SMCr) and the Benemérita Universidad Autónoma de Puebla (BUAP) are holding the second edition of the OpenLab Mexico (click here to read about the first edition). 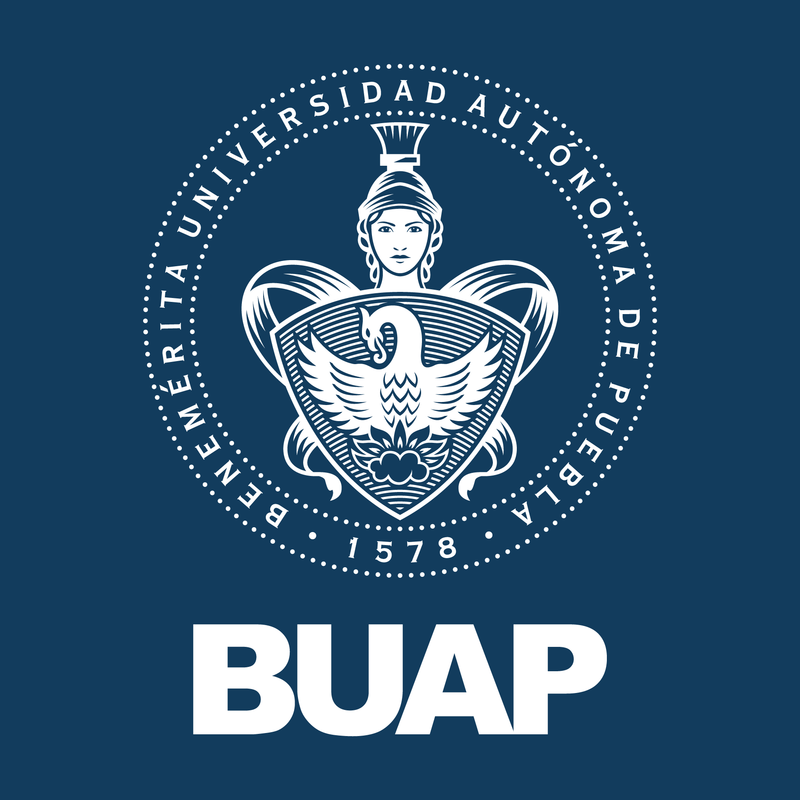 This time, the OpenLab will be held at the Physics Institute of the University of Puebla (BUAP) from September 29th to October 2nd, 2015. 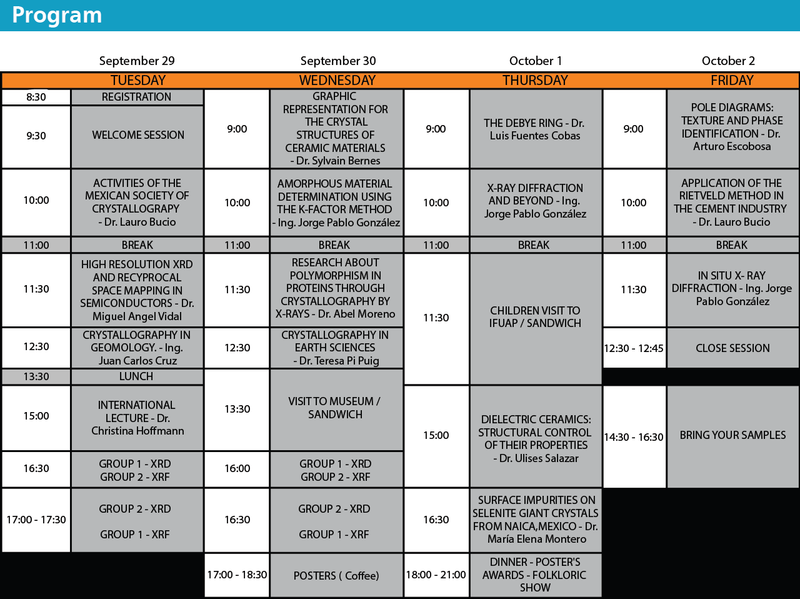 11 national crystallography experts and 1 international well-regarded crystallographer (Dr. Cristina Hoffman, from Spallation Neutron Source, Oak Ridge National Laboratory, USA) will present different lectures. A visit to a Museum and several other activities are scheduled as well. We invite you to register to this Crystallography OpenLab, where attendees will have the opportunity to attend lectures about Crystallography principles and Advanced Applications of the XRD Technique. Applications must be sent by email to mexico@panalytical.com mentioning your full name and the institute from where you will be visiting us. There is no cost for this event, and food and refreshments will be served to all attendees. Holiday Inn La Noria. Circ. Juan Pablo II 1936 Col. Ex Hacienda La Noria. C.P. 72410 Puebla, Pue. Hotel Palacio San Leonardo Puebla. Av 2 Oriente 211, C.P. 7200 Puebla, Pue.